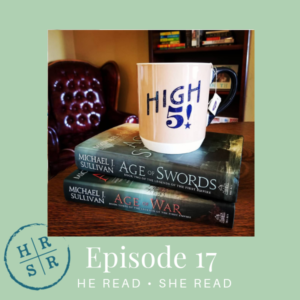 In this week’s episode, Chelsey and Curtis have way to much fun giving recommendations to listeners who want to find the perfect books for their husbands. It’s a puzzle! It’s a challenge! It’s a chance to be a little bossy! These are Chelsey and Curtis’ favorite things. Honestly, why didn’t they start this podcast sooner? Anyway, listen in and you just might pick up a recommendation for yourself or a unique reader in your life.